We shall not be able to raise ourselves any more than we can crucify ourselves, but we must recognize that the Lord's dealings with us are with that in view. In order to display the power of His resurrection, He will very often have to take the attitude toward us of letting things get well beyond all human power to remedy or save, of allowing things to go so far that there is no power in all the universe that can do anything whatever to save the situation. He will allow death, disintegration to work, so that nothing, nothing in the universe is of any avail, except the power of His resurrection. We shall come to the place where Abraham came, who became the great type of faith which moved right into resurrection: "He considered his own body now as good as dead" (Rom. 4:19). That is the phrase used by the apostle about Abraham: "as good as dead." 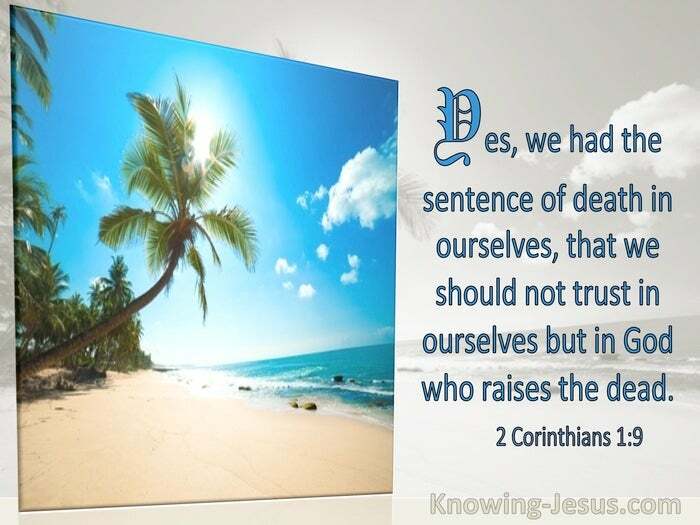 And Paul came into that: "We had the sentence of death in ourselves, that we should not trust in ourselves, but in God which raiseth the dead" (2 Cor. 1:9). Whatever else men may be able to do in the realm of creation, they stop short when death has actually taken place; they can do no more. 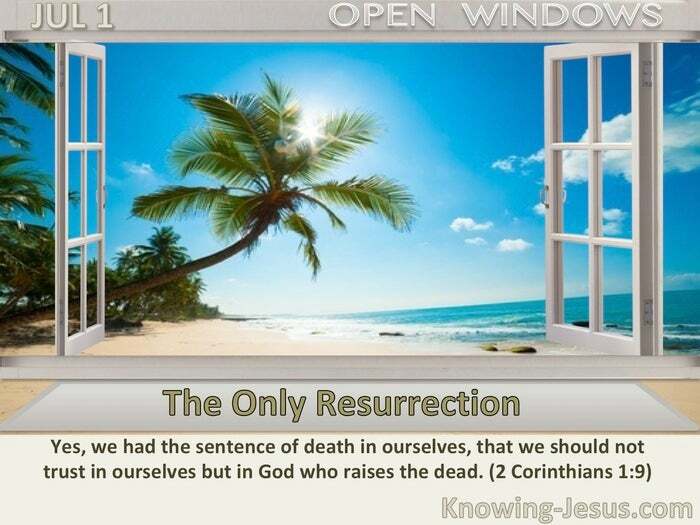 Resurrection is God's act, and God's alone. Men can do very many things when they have got life, but when there is no life it is only God who can do anything. And God will allow His Church and its members oft-times to get into such situations as are altogether beyond human help, in order that He may give the display, which is His own display, in which no man has any place to glory.